Fuel consumption, a proxy for oil demand, totalled 18.72 million tonnes last month, during which diesel sales soared to 7.55 million tonnes and petrol consumption climbed to 2.46 million tonnes. 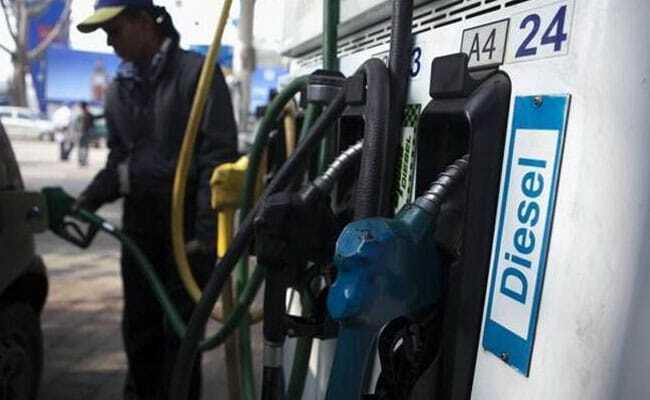 India's domestic sales for diesel and petrol rose to record highs in May, pushing the country's overall fuel consumption for the month higher year-on-year, data from the Petroleum Planning and Analysis Cell (PPAC) of the oil ministry showed on Saturday. Fuel consumption, a proxy for oil demand, totalled 18.72 million tonnes last month, during which diesel sales soared to 7.55 million tonnes and petrol consumption climbed to 2.46 million tonnes - the highest monthly sales figures in PPAC data going back to April 1998. The country, the world's third-largest oil consumer, used 35.2 million tonnes of diesel during January to May this year, up 6 percent from the corresponding period last year. The country's monthly diesel sales have averaged 7.05 million tonnes in 2018, compared with a monthly average consumption of 6.6 million tonnes last year. Sales of petrol, rose 7.6 percent in May from April and are up 2 percent from the same month last year. Monthly demand for petrol has averaged 2.27 million tonnes this year, up 7 percent from the 2017 average of 2.12 million tonnes. More than half of the country's population is employed in the farm sector, which depends on diesel to fuel the pumps for land irrigation. Higher domestic consumption, however, may cap the capacity to export diesel. The diesel exports during March to April this year were 3.79 million tonnes, down 22 percent from 4.87 million tonnes of the industrial fuel exported during the same time last year. Last month, petrol and diesel pump prices surged to record highs, raising pressure on Prime Minister Narendra Modi's government to find a solution to provide relief to consumers without taking a hit on its finances. The recent rise in global crude prices was largely behind the surge in domestic prices, but fuel is also heavily taxed, accounting for about half the cost of petrol and 40 percent of the diesel price.